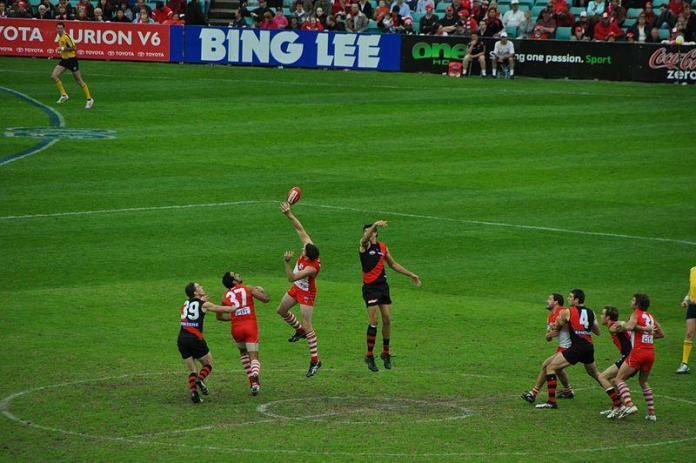 Home Sport Can the Sydney Swans resurrect their premiership campaign? Can the Sydney Swans resurrect their premiership campaign? The Sydney Swans take on Essendon tonight. Photo: Mobilegnome, Wikimedia Commons. With just 5 rounds still remaining in the AFL season, we still have no idea whether the Sydney Swans are a genuine premiership threat or not. The team have been heavyweights for over a decade now, and a side with the experience (and particularly finals experience) of the Swans sitting in fourth would typically be seen as a contender. A near perfect away record suggests that they will be a force, with the only match they have lost away from the SCG being against the table topping Tigers in Melbourne. However, they have lost 5 out of their 9 at home, which is ridiculous for games that almost all opponents have to travel to, and in what is effectively a one team town. The Sydney Swans will need to work on this in the last few weeks of the regular season; otherwise they might be better off sinking down the ladder and playing away finals! Last week’s shocking loss to the Suns – Gold Coasts first win since April – has the knives out for the Sydney Swans season, but their record against the other contenders this year is very good. They have handed West Coast two out of their four losses for the season, as well as beating GWS, Hawthorn and Geelong. Tonight’s game against Essendon will be a stern test for the Swans. They will need to bounce back from the debacle last weekend, and are up against a side that has won 7 from its last 9 matches. The Bombers are trying to sneak into the finals, and on their current form they could just make it. Sydney, on the other hand, need a convincing win to retain their top four spot. The Sydney Swans have one of the best line ups in the AFL, and on their day they are more than a match for any team (with Richmond being the possible exception). They should be able to resurrect their campaign from here – they just need to win a few home matches!